We are currently based in Manila and in a made to order set-up. 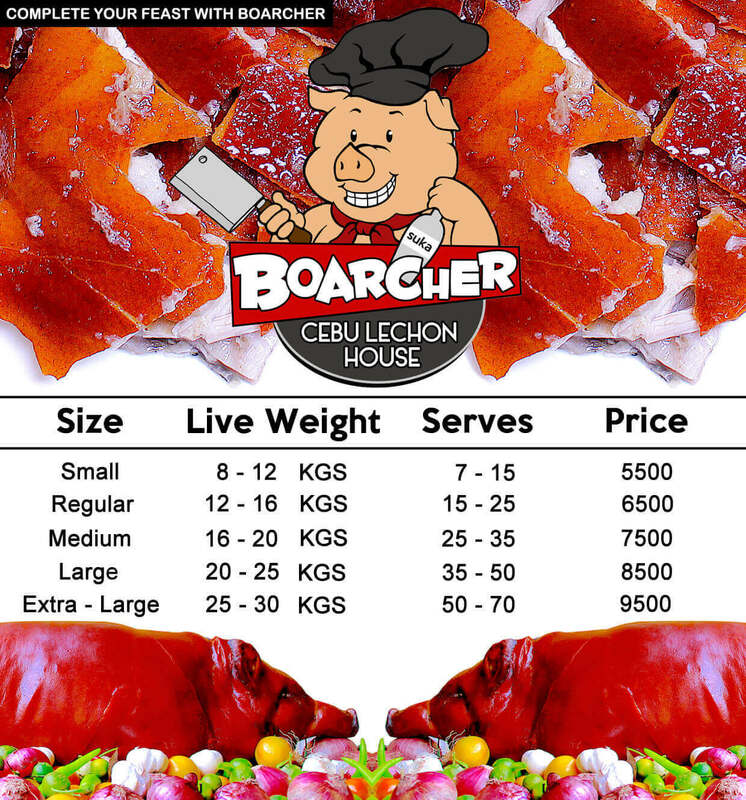 We freshly roast your Cebu Lechon orders in Quezon City. We are currently accepting Bank Deposit, Cash on Delivery, Online Banking, and Pera Padala as payment for our products and services. We deliver anywhere and anytime in Metro Manila. We also deliver outside Metro Manila. Areas outside Metro Manila may be required to pay an additional fee for delivery. We encourage placing your order to have at least a 72 hour window before the requested date. Orders with less than 72 hours before the delivery date are allowed, but will be considered rush orders and will be subject to availability. WHERE DO YOU GET YOUR NATIVE PIGS? The source of our native pigs come from local farmers who are from Luzon and Visayas. Our recipe is from Cebu and the techniques we apply in roasting our Cebu Lechons came from their as well.